GammaBond Alumina is a family of exceptionally stable alumina-based HPLC columns designed for extreme pH applications to provide high efficiency and unique selectivity. GammaBond Alumina is manufactured by bonding a polymer to a highly stable porous spherical 5 μm alumina particle. This proprietary manufacturing process yields polymercoated packings with the same high efficiency as traditional silica columns, but with all the advantages of alumina. GammaBond reversed phase columns may be used with any mobile phase from pH 1.3 to pH 12, and any desired buffer system or additive. GammaBond RP-1 is used for USP method L-29. Chromegabond Carbohydrate is specifically design for the separation and chromatographic analysis of sugars, sugar alcohols and oligosaccharides. It is based on bonded amine groups and is used with mobile phases typically composed from 50 – 95 % acetonitrile and 50 – 5 % water. 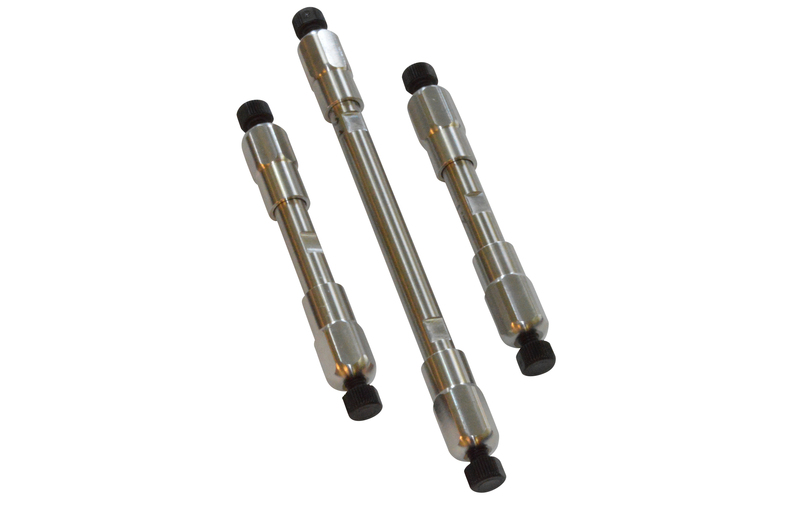 This combination provides for excellent separation and high column durability. It is available as a 250mm x 4.6mmID column packed with 5 micron particles. Chromegabond C22 is a highly retentive stationary phase in which hydrocarbon C22 groups are bonded to an ultra-high purity support. The C22 is monomerical bound and is nonendcapped allowing this stationary to be used under wide variety of mobile phase compositions. This phase exhibits even greater hydrophobic interaction than the Chromegabond HC column. The Chromegabond C22 is ideally suited for the separation of triglycerides, PAHs, and steroids. The Aviator line has identical selectivity to ACE HPLC columns. Aviator AQ is a C18 bonded phase with integral polar functionality which is resistant to phase collapse even with 100% aqueous mobile phase. Recommended for applications where 100% aqueous mobile phases are required. Ideal for fast gradients due to rapid re-equilibration properties. Chromegabond C8 Columns based on octyl bonding to provide superior, reproducible separations and long column life with excellent peak symmetry.